You can find our hostel entrance by this ? lighing hanged above grass door. Please enter building from here. 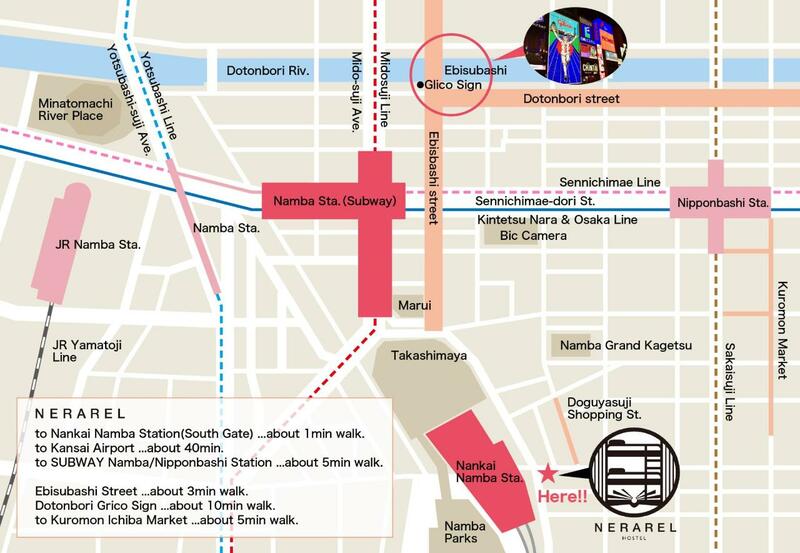 From Kansai Airport, take the Nankai Airport Express or the Limited Express Rapit to Namba station. Walk from Osaka station to Umeda station. Get off at Namba station.